Click HERE to Help Elin Brimheim Heinesen publish new music by donating. No amount is too small. Every penny counts. Elins parents were very much into classical music as well as Swedish folk music by, for instance, Evert Taube and Sven Bertil Taube. Elin’s grandfather was a church choir singer all his life and others in the family sang also in choirs. Her uncle Svenn Brimheim was a reknown guitarist. 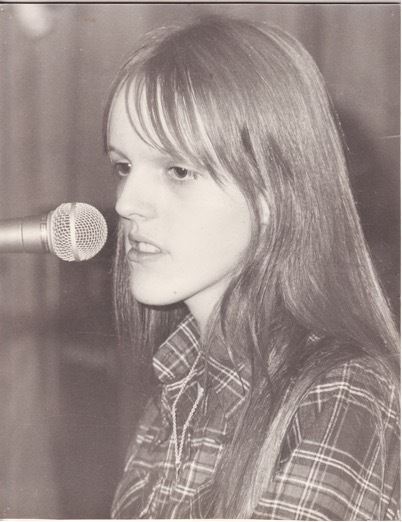 The family’s music was very much part of Elin’s daily life through all of her childhood and has off course had a great influence. 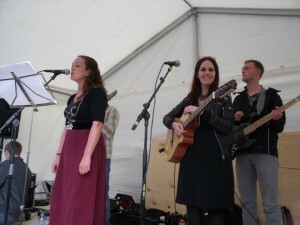 But also the very lively song tradition on the Faroe Islands where Elin grew up, has influenced her. 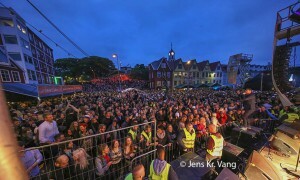 Faroese people love to party and sing together. Every small town has it’s own choir. 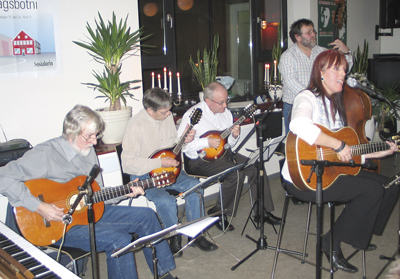 In the seventies Elin was very much into jazz and blues because of her engagement in the Tórshavn Jazz Club – so this has had a huge influence also. 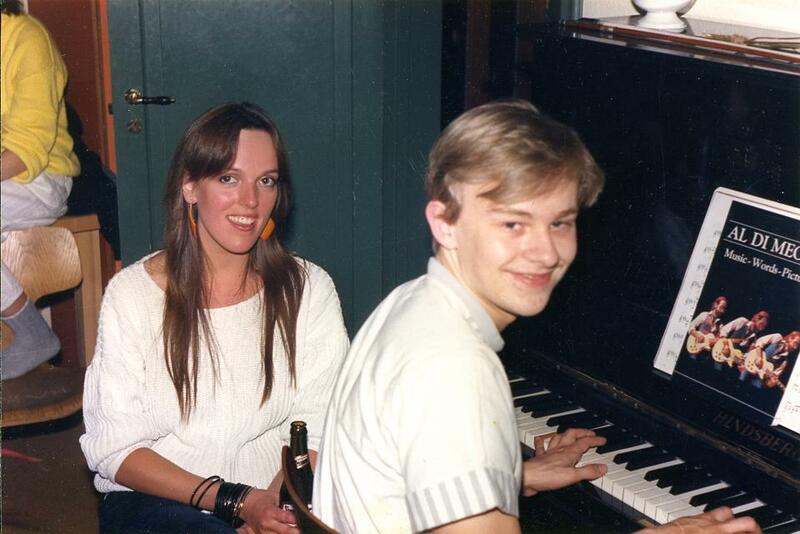 In the eighties she formed a duo with Kári Jacobsen and made the pop album “Nalja”, which was kind of a reaction against the political correctness in music, which was very common in those years. Elin has always insisted on making music, that has a right in itself – and not only as a mean to promote something else… anything else but true feelings whether it is joy and happiness or sadness and despair. 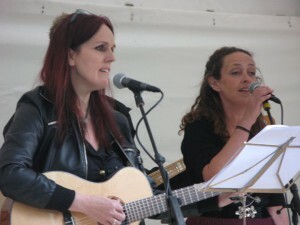 Elin has made music of many different kinds all of her career. 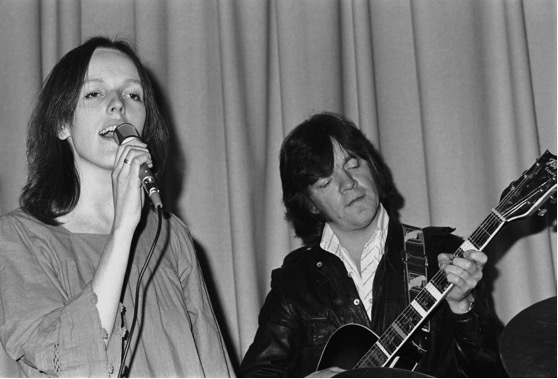 In the seventies she made songs which you can label folk songs. 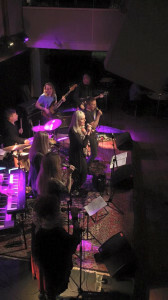 She has sung jazz, musicals, revue songs, pop rock – even performed with a heavy rock band. Her previous album as a leading music artist “Nalja” was a pop album, that in many ways reminded of other pop albums from the eighties – but it was also unique in a very ‘Faroese’ way, and became very popular as such. The songs on the album which was re-released in 1998 still get a lot af air play at the Faroese radio channels. 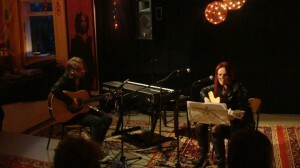 The new album “Yndisløg” (Treasured Songs), released in 2010, has a very different relaxed and easy listening feel to it. - buy a gift certificate now and get the cd later! 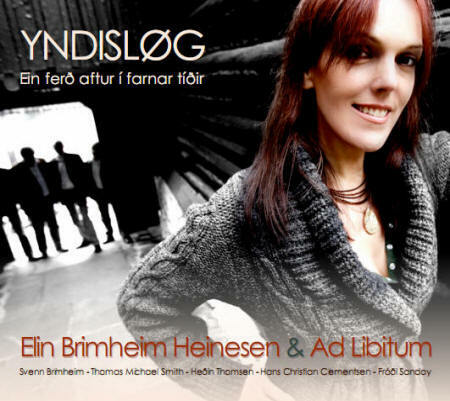 After having waited for three long years, Elin Brimheim Heinesen & Ad Libitum were, finally, able to release their sought after CD: Yndisløg – Ein ferð aftur í farnar tíðir (in English: Treasured Songs – A Trip Down Memory Lane) in the summer 2010. 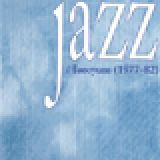 The CD oozes nostalgia, romance, pensiveness, a will to life and love for the human kind. The CD was recorded partly in September 2005 and partly in January 2007. The recordings were mostly recorded live sessions in the studio. 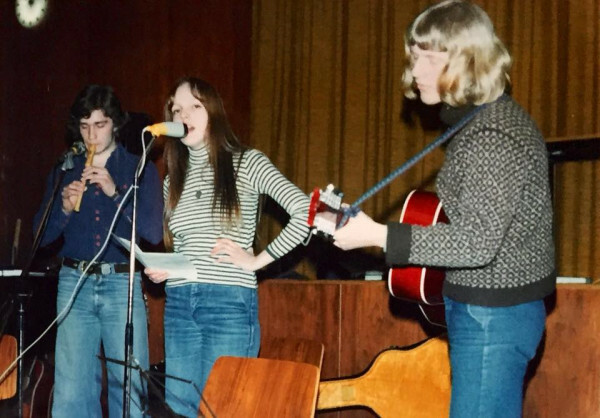 But the release date was postponed for a long time because they had troubles getting the final rights to publish some of the songs in Faroese. The release date was, finally, set to July 12, 2010. The CD is dedicated to the memory of the siblings Maud Heinesen, Elin’s mother, and Svenn Brimheim, Elin’s uncle, who both died of cancer – Maud in 2005 and Svenn in 2006. The purpose is to honour all victims of this terrible desease. The CD is also a tribute to the past – to the time, when these people were young and healthy – and to the splendid music they gave to our generation. 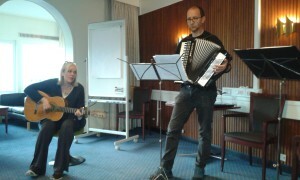 The songs on the CD are primarily Maud’s And Svenn’s most treasured songs. 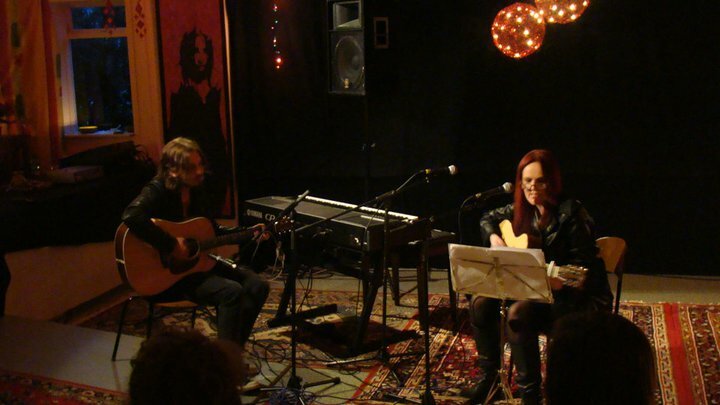 While they struggled to beat the decease and the whole family gathered to comfort each other, Elin often sang these songs, while Svenn played guitar. One day Elin’s mother said that she thought it was a little strange that nobody had translated these fine evergreens to Faroese before. 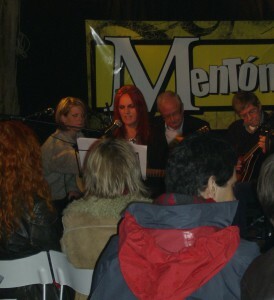 This remark gave Elin the idea to translate the songs into Faroese. The CD is sold out in the stores. BUT… Elin has a few CD’s left to sell, so it is possible to order the CD directly from her – and thus, and get a copy or more of the CD. 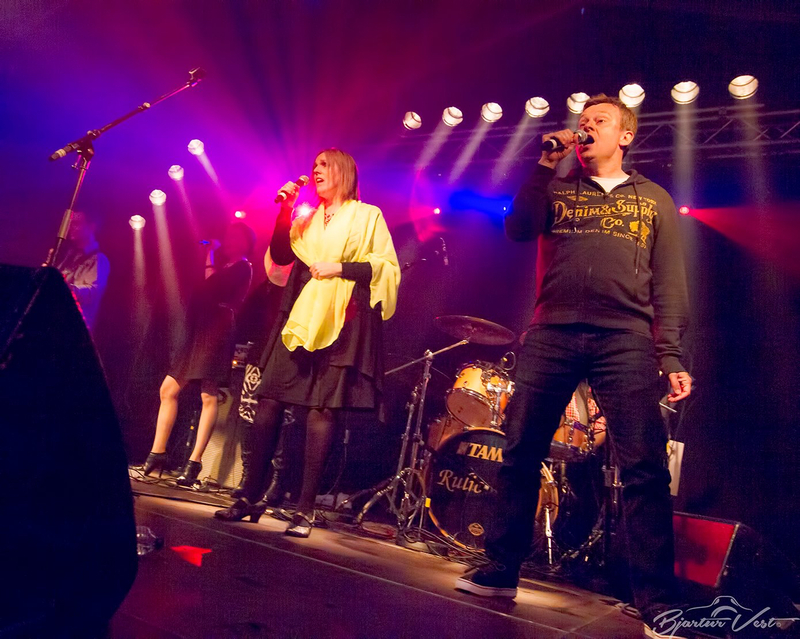 By ordering the CD you donate money to the Faroese Cancer Society. For each copy sold the Cancer Society will receive an ammount to support them in their cause trying to beat cancer and in helping cancer patients and their relatives. The CD is available for only 120 DKK + postal expences. OBS! The Faroese Cancer Society will receive 20 DKK for every copy sold. Send an E-mail to elinbrimheimheinesen@gmail.com to order one or more copies of the CD: Yndisløg – Ein ferð aftur í farnar tíðir (Treasured Songs – A Trip Down Memory Lane) and have it sent by postal mail. “In 2004, my mother, Maud Heinesen, and her brother, my uncle Svenn Brimheim, were both diagnosed with incurable cancer. My mother had cancer of the lung and Svenn had melanoma skin cancer. So we, the family, could do little more than seek comfort in each other in these hard times. I worked in Denmark at the time, but I tried to come home as often as I could and stay as long as possible. In May, 2005, my mother was paralysed from the chest down and was bed bound after that. I spent much of this period by her bed, singing songs from her youth that I knew she loved. These songs formed an important part of my upbringing as a little girl in the 60s. 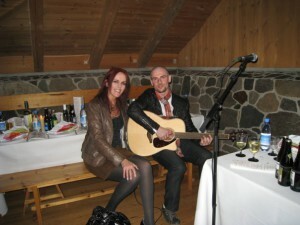 We agreed that it was strange to see that such great songs had never been translated to Faroese. So I decided to translate or rewrite some of them. Svenn, who was relatively well at the time, also visited my mother a lot. Sometimes he would bring his guitar and I would sing, just like we used to do when the family gathered together in the past. And then the idea struck me: why don’t Svenn and I record these songs together? We had been talking about recording music together for at least 25 years – without ever doing it – so why not do it now before it was too late? Svenn agreed, and he added a few of his personal favourites to the repertoire. The thought of making a CD didn’t really occur to us – simply recording the songs was the most important thing to us. Both Svenn and I have been working for the Faroese national radio in the past, so I went to them and asked for permission to use their studios. They kindly offered us free use of their studio for two nights. Unfortunately, my mother didn’t live to hear these recordings – she died on 7 September, 2005. This made me realise even more how important it was to record these songs. Two weeks later, we went into the studios to record. 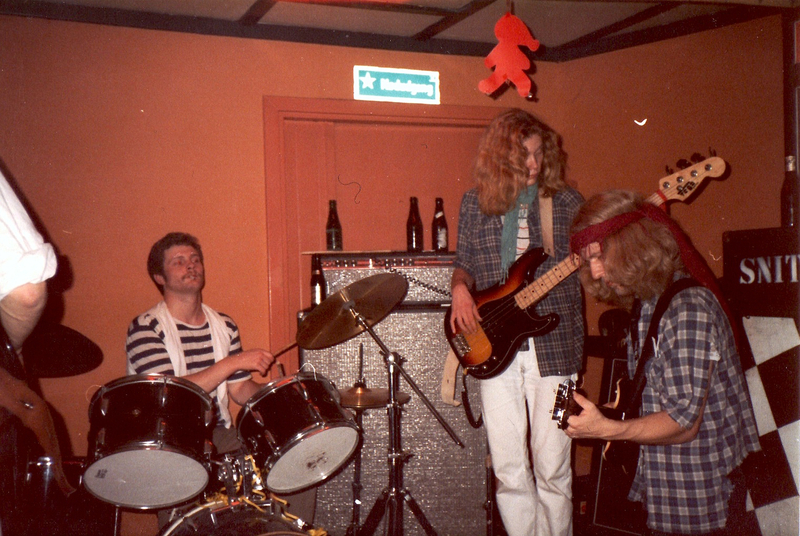 The first evening when I went to pick up Svenn, he was rehearsing with his band, Ad Libitum, a band with two mandolins, two guitars and a double bass. I went in to meet them. They were playing the song Nánd when I entered and I started singing with them spontaneously. 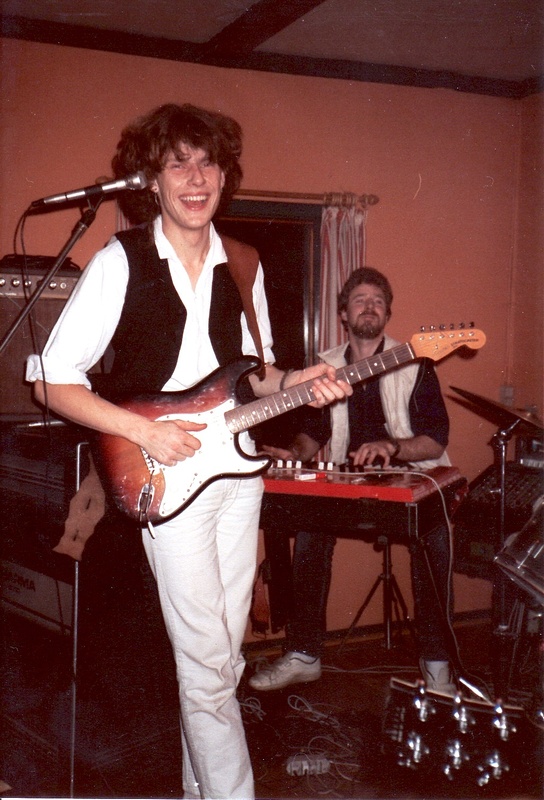 We looked at each other and I think both parties agreed this was a good combination, so I asked them if they would like to join me and Svenn in the studio, hoping that something would come out of it – and it did: the following evening we had recorded eight songs, four of which with all the Ad Libitum members. 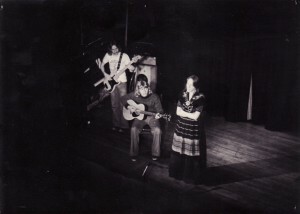 The songs were recorded live and without any previous rehearsals, but afterwards we agreed that perhaps the recordings were still good enough to release on a CD. However, eight songs are not enough for a full CD, so we decided to record seven other songs at a later date. I had to return to Denmark where I worked as a magazine editor, but I promised to come back to record the remaining songs. This was a time when Svenn travelled a lot to Denmark for treatment. He used to live with me there and we rehearsed the seven remaining songs. We decided that I should come back home to the Faroe Islands at Easter, 2006, to record these seven songs. Shortly before Easter, however, Svenn’s condition deteriorated fast. I went home but only a few days later, Svenn died. I know how sad he was about not being able to complete this project. 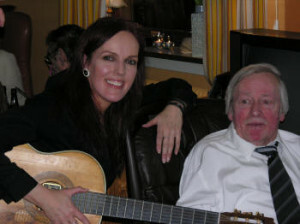 Two days before he died, I promised him to complete the CD together with Ad Libitum and he was very happy to hear that. 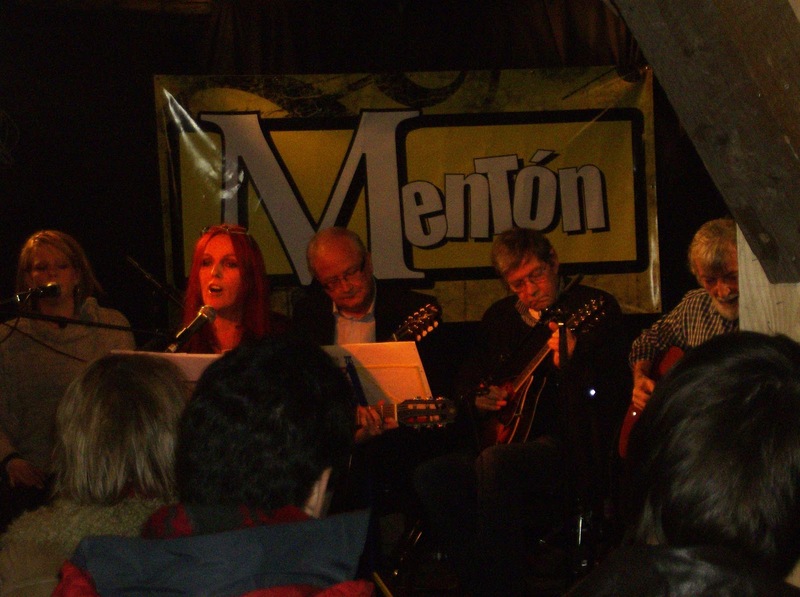 We managed to keep our promise and I recorded the seven songs with the remaining Ad Libitum members in January, 2007. You’re holding the result in your hands right now. I have chosen the title Yndisløg – Treasured Songs – because these are songs that I grew up with and which my family loved so much – especially my mother and Svenn. I hope these songs will become favourites for others too, so that they will support this release. If there will be any profits, the Faroese Cancer Association will receive a donation of every sold copy. Furthermore Elin has participated in a lot of radio programs throughout the years as a singer. *Uncertainty about the publishing year accuracy. This is an approximate guess. This is the title of one of Elin’s most popular songs that has won international recognition. 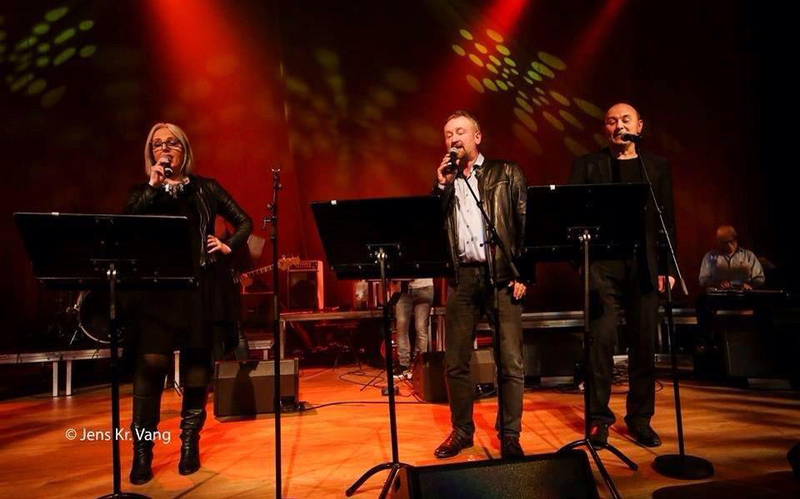 There are two versions of the song – the original one from 1988 and a later edition from 2002 recorded with the Prague Philharmonic Orchestra, which today is the most reknown. You can also watch Elin perform the song live here. The song was one of the most popular songs from the album “Nalja” featuring Elin Heinesen and Kåre Linderoth Jacobsen. 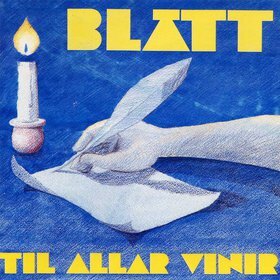 The album was released the first time as an MC in 1988 and re-released on CD in 1998 by the record company Tutl on the Faroe Islands. The music was recorded in Bløndal Studio in Copenhagen in 1988. Elin Brimheim Heinesen wrote and arranged the track “Eitt dýpi av dýrari tíð”. Her father, the Faroese author Jens Pauli Heinesen, wrote the lyrics in 1953 – only 21 years old – and unhappily in love. The 10. and the 17. 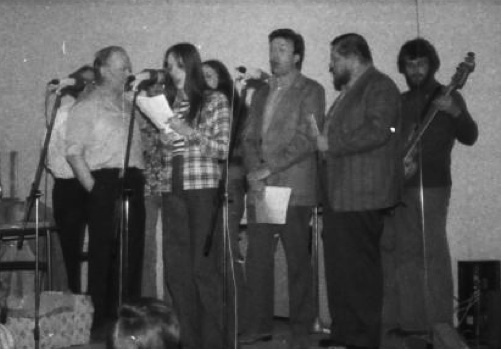 November 2002 a TV documentary in two parts was broadcasted for the first time in the Faroese national television. The documentary about the author and the man Jens Pauli Heinesen was made by Gulla Øregaard as a tribute to him on his 70 years birthday the 12. November 2002. In the making of the documentary a new version of the song ‘Eitt dýpi av dýrari tíð’ was produced. The Danish film composer Søren Hyldgaard made the arrangements for symphony orchestra and a mens choir. The music was recorded partly in Prague with the City of Prague Philharmonic Orchestra under the conduction of Mario Klemens – and partly in Tórshavn with the Tórshavn Men’s Choir under the conduction of Bjarni Restorff and with Elin Brimheim Heinesen as a soloist. 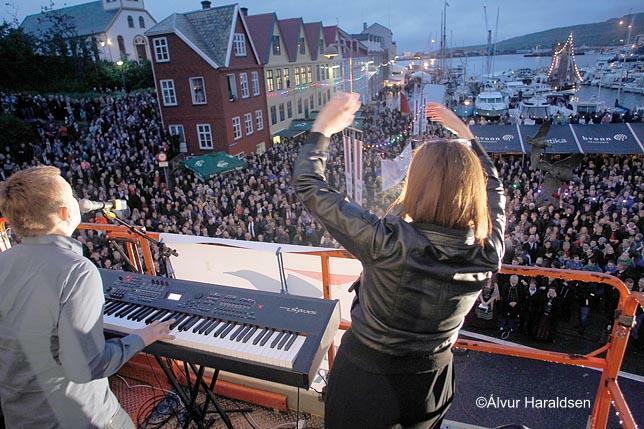 This last version of the song has been released two times – the first time in 2003 on a Faroese compilation CD called Popp List 2, published by 3′arin (go to www.popplist.fo) and the second time on another Faroese compilation CD with Faroese female artists only, published as an introductory gift to people who subscribe to the Faroese womens magazine ‘Kvinna’. 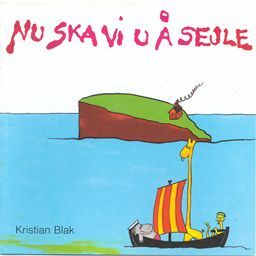 This CD was released the first time in November 2004 (go to www.kvinna.fo). The song is also the soundtrack on the video “Where Nature Rules”. Read more down below. beri kenslu av myrkari nátt. tann vísdóm, ið uggar meg. sum folar í dans og gleim. så kåde på livets vej. I’ve thrilling touch of dark night. the wisdom that gives me a clue. are cheering in dance like foals. to drift and get lost with in! fühle ich die dunkelste Nacht. du Weisheit, du schließlicher Trost. wie Fohlen in Tanz und Spaß. getrieben und in ihr verirrt. 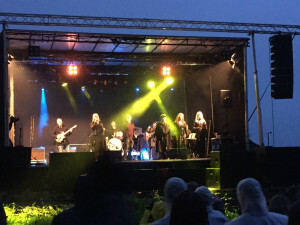 The song was also used in a video presentation about the Faroe Islands called “Where Nature Rules”, that Elin made in 2008, after the magazine National Geographic Traveler in November 2007 rated the Faroe Islands as best islands in the world. The little film shows landscapes from the Faroe Islands and advertises for the Faroes as a travel destination. 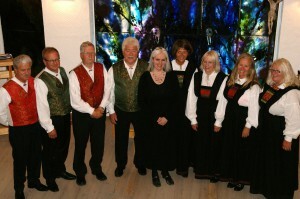 Pictures and music are shown with quotes from traveler descriptions of the Faroes. The 12. of March 2009 the video got awarded with 3. prize at the international tourism film award ceremony “Golden City Gate” at the ITB Tourist Fair in Berlin – one of the largest of its kind in the world. (Read more here: www.das-goldene-stadttor.de). “It was really a surprise to me that the video won an award. Actually it was a draft I made as a presentation for a meeting we had at my work place where we were supposed to discuss various ways of marketing the Faroes. This was my suggestion that I made at home after work hours with an amateur film editing program Windows Movie Maker. I put the video on YouTube and Facebook to get some feedback – so that I could learn from the comments. After a while I realised that people liked the video so much that they were sending the link to each other and to their friends and acquaintances all over the world. In Feb 2010 the number of downloads exceeded more than a hundred thousand on YouTube and Facebook – and 5 years after the release more than 200.000 people had watched the video on YouTube. The reason that the video has become so popular so fast might probably, on the one hand, be the amazing pictures and on the other hand also the music. 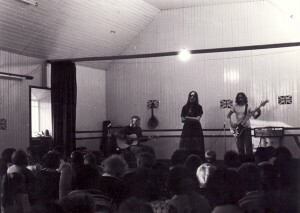 The song “Eitt dýpi av dýrari tíð” (translated to English: A Chasm of Precious Time) was already very popular on the Faroes a long time before the video was made. 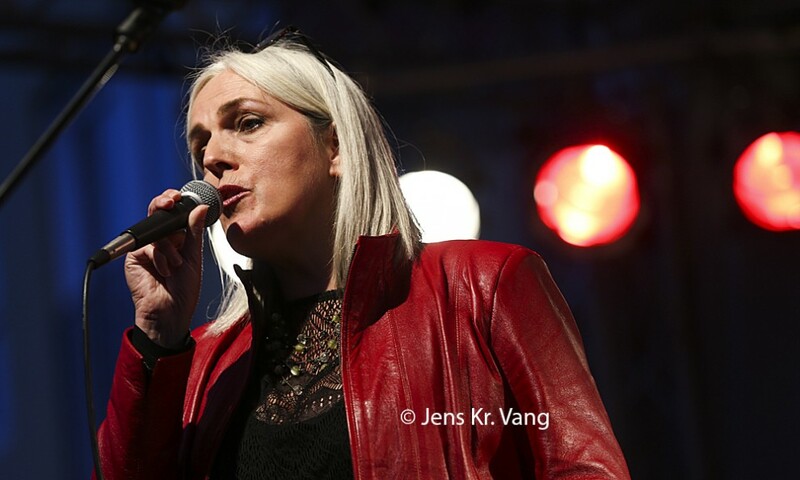 Elin Brimheim Heinesen made the music and the lyrics were written by her father, the Faroese author Jens Pauli Heinesen, who is his generations greatest and most appreciated authors on the Faroes. Here are some of the initial comments about the video in E-mails, YouTube and Facebook. 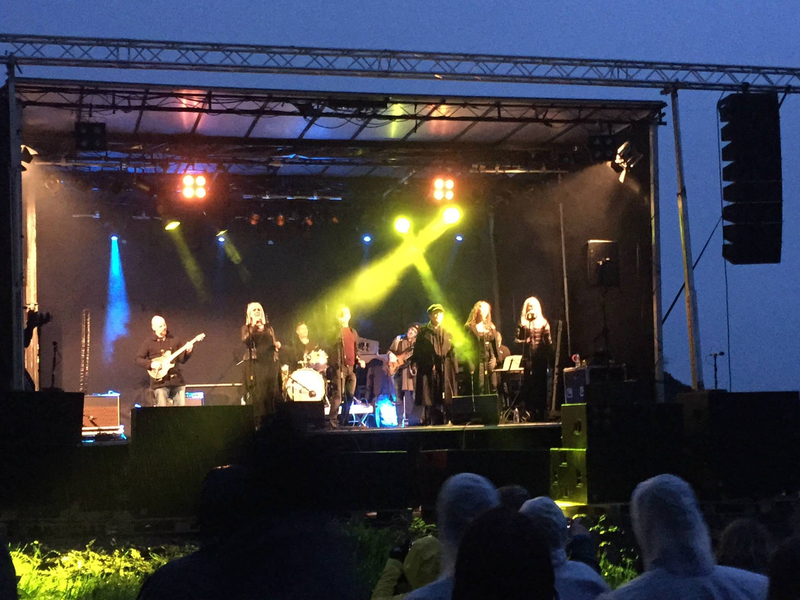 In January 2013 Føroya Symfoniorkestur (Faroe Islands Philharmonics) performed the song “Eitt dýpi av dýrari tíð” with famous Faroese singer, Eivør, at their annual New Years Eve Concert. 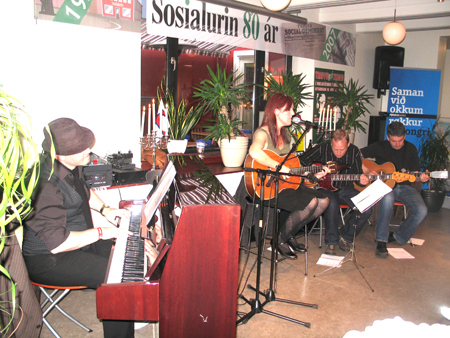 The performance was a tribute to the late author, Jens Pauli Heinesen, who had just had his 80th birthday in november 2012. Elin Brimheim Heinesen was born 25. June in 1958 in Tórshavn, the Faroe Islands. In 1990 she gave birth to a daughter. She went to Denmark to study in her mid twenties and stayed in the country for 25 years, most of the time living and working in Copenhagen, until she moved back to the Faroes in 2007 where she lives today. Elin has wide-ranging experience in the fields of internet, marketing, media and culture and has worked in communication and marketing for many years as head of media and marketing, journalist and editor in chief in on-line and printed media. In 2007 she went to the Faroe Islands to take the job as the Managing Director of SamVit – Faroe Islands Enterprise, the Faroese Trade and Tourism Council, which now has been merged with the Faroese Ministry of Foreign Affairs. The last 5 years before she moved to the Faroe Islands, she was the Managing Editor of KIWI magazine, a Danish women’s and consumer’s magazine, which she also helped launch. Elin was also the Marketing Coordinator of Copenhagen City of Culture 1996. 1. September 2009 she became Head of the Media and Development Department at Kringvarp Føroya – the Faroe Islands National Broadcasting Company. In May 2012 she left Kringvarp Føroya to become an independent copywriter, journalist, editor and communication adviser. She now runs the online music magazine MUSIC.fo and works as a freelance journalist at planet.fo. More details here. Elin holds a university degree (cand.mag.) in aesthetics and culture and also has an education in business economics from Copenhagen Business School as well as being an educated screenwriter from Den Danske Filmskole (the Danish Film School). More details here. 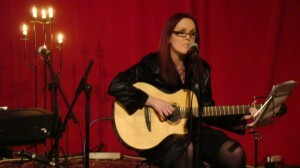 Elin also has a background as a singer and songwriter. More details here. Manager of the Information and Student Services Centre at the University of the Faroe Islands. Independent Copywriter, Editor and Communications Adviser at Heinesen.info. Editor-in-chief and journalist at MUSIC.fo. Journalist at Planet.fo. Editing. Copywriting. Translation (Fo/Dk/En). Web Management and Content Management. Advising small businesses in Communication and Marketing Strategies. If you need a copywriter, scriptwriter, journalist, editor, translator, proofreader, marketing & communications adviser, supervisor, motivator, inspiring conversation partner, coach, web manager, content developer, project manager, lecturer, event organizer, researcher, survey organizer, tourist guide, host — feel free to contact me. Media- and Development Manager at Kringvarp Føroya, the National Broadcasting Company of the Faroe Islands. Project leader of a team responsible for preparing and launching the company’s new, much improved news website (www.kringvarp.fo). The site has many different functions and is updated several times a day. It also serves as a public archive for all aired radio and tv programs, produced by the company itself. In charge of the radio and tv archives (the physical part of them) and for the staff scheduling and transmitting TV shows. Responsible for the release of several successful music CD’s also, with older music from the Kringvarp archives or new music made for the purpose in collaboration between Kringvarp and external partners. Managing Editor at KIWI magazine, a glossy women’s consumer magazine, published by Chili Group. Involved in the start-up process, including concept development. KIWI magazine has a circulation of 200.000 with more than 400.000 readers. It includes practical advice, aimed at making the reader’s hectic life easier – primarily about saving time and money. The main target group is women aged 25-50. Chili Group has a contract with the Danish supermarket chain Netto regarding exclusive free distribution of the magazine throughout Denmark. View www.kiwimagazine.dk (now www.magasinetlime.dk) and www.chiligroup.dk. KIWI magazine changed name in March 2010 to LIME magazine since the Norwegian supermarket chain Kiwi opened their first stores in Denmark. A contract position as Project Leader/Coordinator for the Faroese Telecom. Responsibilities included preparing a report about the possibilities for establishing a new commercially-based TV channel to compete with the Faroese national channel. Moved to her native Faroe Islands for a short period, mainly to produce a TV-film in two episodes about her father, the Faroese author Jens Pauli Heinesen. Responsible for the music and the editing of the film. The music can be heard here. Managing Editor at the Danish Committee for Health Education, a public service which publishes health-related books and magazines, including UNG, a quarterly magazine distributed to all 13-16 year-old school pupils in Denmark. View www.sundhedsoplysning.dk, www.ung-bladet.dk og www.ung-rejseguide.dk. Managing Editor and founder of www.kvindekanalen.dk (link to PDF-file!) – World Online’s (now Tiscali’s) online magazine for women with content such as shopping, letters, body & soul, lifestyle & culture, career and IT. Responsibilities included vision, concept development and strategy, as well as maintenance. The staff consisted of an editorial assistant and 40 freelancers. Although the site was the fifth-largest women’s site in Denmark, it was shut down in August 2001 due to financial problems caused by the world wide IT crisis at the time. Founder and Director of own company (initially to finance studies at the National Film School of Denmark), Heinesen Kommunikation. The company provided consultancy services, specialising in media communications. When she became Managing Director of SamVit in 2007, she had to close down the company due to her official position. Marketing Coordinator for Kulturby 96 (Copenhagen – Cultural Capital of Europe 1996). Elin developed the advertising strategy and edited promotional texts and layout for various advertising areas. In addition, she was an advisor for almost 600 cultural projects in the city, providing advice about marketing strategies and advertising, as well as distribution of flyers, signs, banners and flags to various cultural institutions. Sales and Marketing Manager at Folketeateret – The People’s Theatre in Copenhagen. She was responsible for planning and controlling the theatre’s marketing plans. She designed and sent out sales letters, designed packages for customers and visitors, edited advertising copy, designed the theatre’s programmes, posters and postcards, as well as organising merchandising, adverts and sponsors. Marketing Manager at SMS in Tórshavn – a shopping centre which houses 26 shops, including a large supermarket, post office, bank and cafeteria, and employs 300 people. 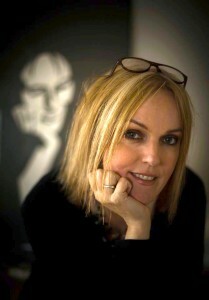 Elin was responsible for producing weekly five-minute TV broadcasts for national TV, which included reports and adverts. She was also responsible for selling advertising space to the shops and organising weekly events in the centre – cultural, commercial and entertainment. NB! Translations of the references to English are available on request. Elin is passionate about the internet and keeps herself constantly up-to-date with online trends. Elin is the webmaster and web editor for the website MUSIC.fo - an online music magazine for everyone interested in current information about music from the Faroe Islands – a work she does on a voluntary basis in her spare time. The site contains an abundance of videos, photos, articles, podcasts and other information – all about Faroese music. Elin has had various journalistic research assignments on a freelance basis. She has written numerous features and reviews for Danish and Faroese newspapers. She sometimes writes art, music, film and theatre reviews. She was webmaster and web editor for the website www.faroeislandsreview.com for some years – a web magazine about the Faroe Islands in general – and earlier she was the creator and editor of www.fo-dk.dk – a website about the relationship between the Faroe Islands and Denmark first published in April, 2000. This voluntary work stopped due to other commitments. She has worked on various projects involving advertising campaigns and market research. This has resulted in various publications, mainly about marketing consultancy. Since 1964 Elin has been active as a music composer and singer. She released the album Nalja on MC in 1988, and on CD in 1998, together with Kári Jacobsen. In 2010 she released an album again with her own interpretations of some of her mothers and uncle’s most treasured songs. They both died of cancer in 2005 and 2006, and this album is Elin’s tribute to them. 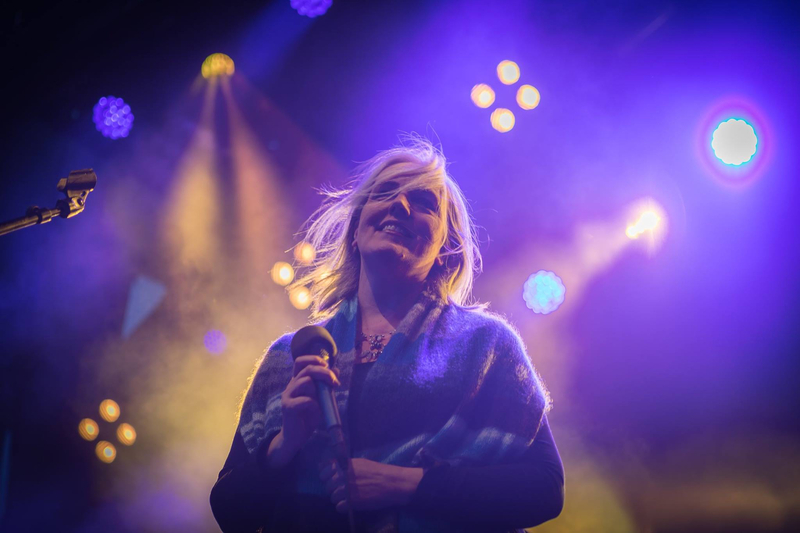 Read about Elin’s musical career and hear some of her songs and specifically about the latest album “Yndisløg” (Treasured Songs). 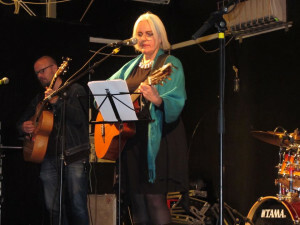 Elin has been active in local theatre life, as a performer and organiser, at Tórshavns Jazz Society since its foundation in 1975. 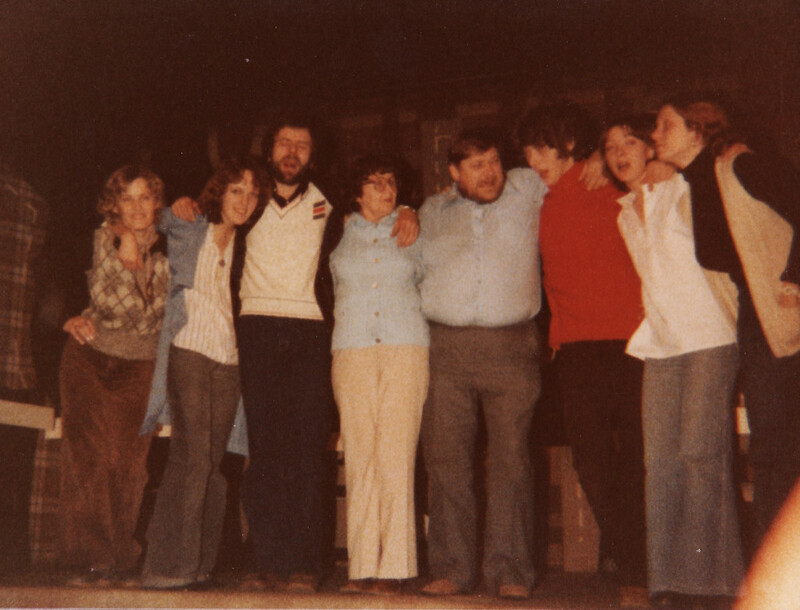 She was one of the founders and a board member of the society in the first years. Elin has arranged concerts and was a co-founder of music- and composer societies in Torshavn. 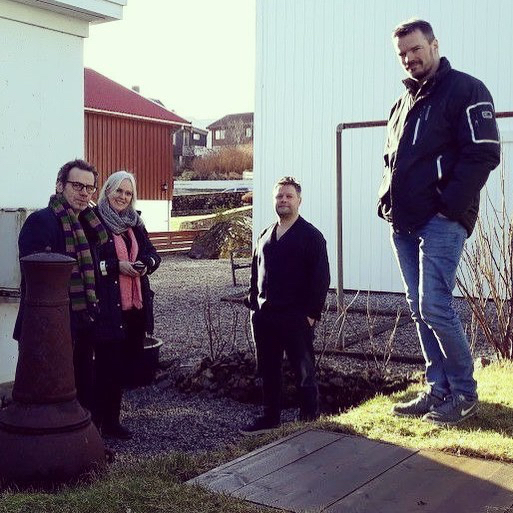 She has performed in musical theatre pieces such as Seymistovan at the Tórshavn Theatre (1978) and The Lost Musicians, a play based on the novel by William Heinesen, at the Nordic House in Tórshavn (1993). 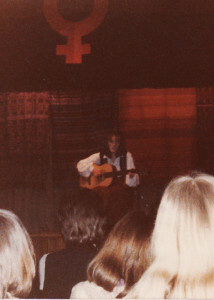 Elin toured the Faroe Islands as a revue singer for three years (1975-1978). These performances were part of the weekly Saturday night entertainment show on the Faroese radio. 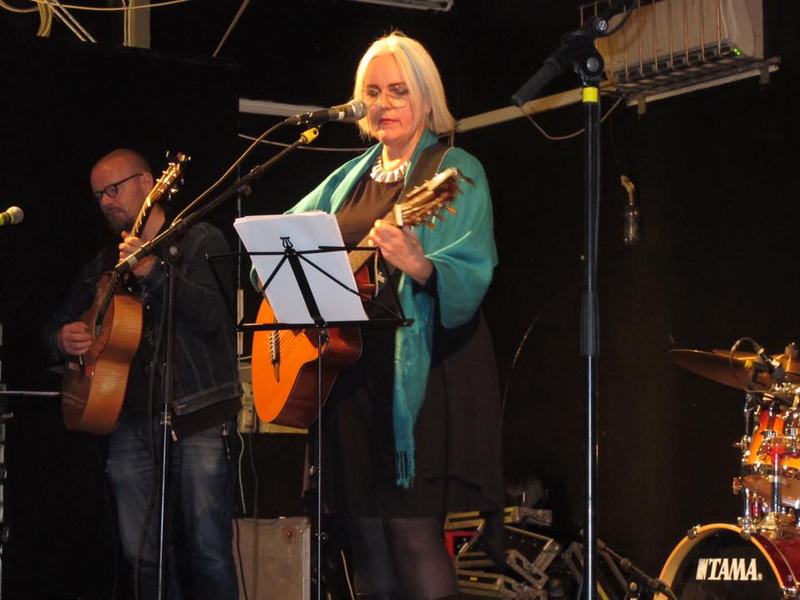 She has made music videos and music programmes on a freelance basis for Faroese TV and radio since 1975. She has produced various radio programmes since 1975, including a series of nine programmes about the history of jazz and a six-part radio play for children. She produced and played in various radio plays, produced children’s shows, recited several children’s books and sung several children’s songs in the radio.